Abstract: The banning of Mexican-American Studies and censorship of Chican@-authored books in Arizona were part of a succession of anti-Mexican and anti-Chican@ policies that were enacted across the state and in the education system. The counterstories offered through these classes and literature not only created a sense of cultural inclusion, but ignited a political and activist consciousness among the mostly Chican@ youth, and reinvigorated conversations among educators about the teaching of race, ethnicity, and culture in the classroom, particularly through youth literature. 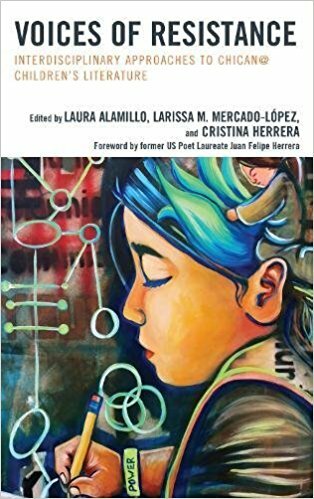 While most work on youth literature has emphasized “multicultural” literature as a means of being inclusive, Voices of Resistance: Interdisciplinary Approaches to Chican@ Children’s Literature recognizes that our present moment--one that is rife with continued anti-Mexican sentiment but that has given rise to our first Chicano National Poet Laureate--demands a more focused study of children’s and young adult literature by and about Chican@s. This collection re-examines how we view multicultural and diversity literature and recognize literature that invites social transformation. 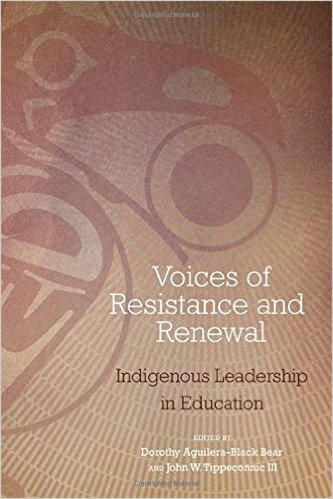 Using multi- and interdisciplinary perspectives to critically examine a wide range of Chican@ children’s pictures book and young adult novels, this collection reaffirms Chicano@ children’s literature as a means to achieve equity and social change. Abstract: Arguing that literacy instruction is the work of all teachers, K-12 and beyond, this collection offers replicable strategies to help educators think about how and when students learn the skills of reading, synthesizing information, and drawing inferences across multiple texts. What Is College Reading? will be of interest and practical use to any educator facing the need to offer more for students as they exit their high school career and begin the journey of post-secondary education. The contributors describe work in both disciplinary and cross-institutional settings, providing a wide range of instructional approaches and strategies. 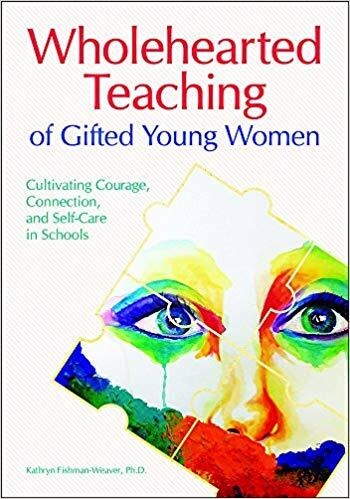 Abstract: Wholehearted Teaching of Gifted Young Women explores the important role school communities play in supporting the social and emotional needs of high-achieving young women. Using a youth participatory action research model, this project follows 20 student researchers from high school through college. This longitudinal study leads to "Wholehearted Teaching," a new framework for cultivating courage, connection, and self-care in schools. 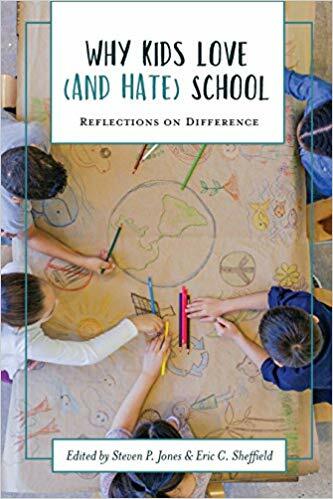 Abstract: This collection consists of theoretical discussions, personal reflections, research reports, and policy suggestions sourced in the experiences of our most vulnerable students with an eye to making schools places all students might love rather than hate. The essays take up these issues from the perspectives of poverty, gender, race, ethnicity, ability, language, and religion among others. Engaged students with a passion for learning are becoming rare in American schools. Why do students lose their passion for learning and disengage in school? The continual comparison and judgment that our youth experience result in their belief that they are not good enough or not smart enough. To the extent that this happens, fear diminishes their curiosity, strips away their self-confidence, and results in disengagement and unfulfilled potential. 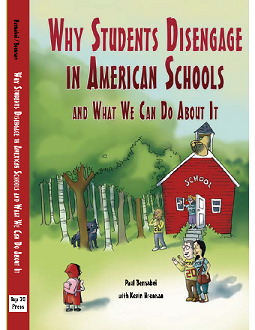 This book examines the significance of disengagement and presents strategies for overcoming it. Abstract: To help students communicate their mathematical thinking, many teachers have created classrooms where math talk has become a successful and joyful instructional practice. 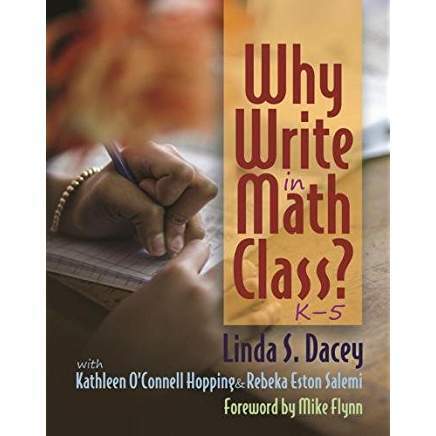 Building on that success, the ideas in Why Write in Math Class? help students construct, explore, represent, refine, connect, and reflect on mathematical ideas. Writing also provides teachers with a window into each student’s thinking and informs instructional decisions. 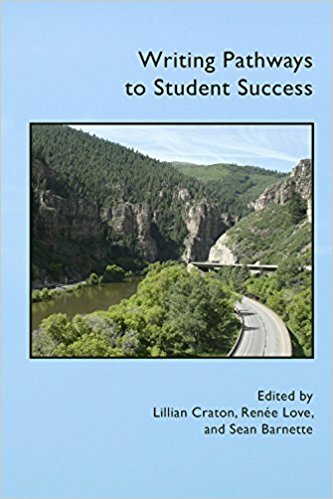 Abstract: Within Reach is a text for anyone interested in improving instructional practices with their students, and in expanding those practices from classroom to classroom. The multifaceted sections of the text broaden the audiences: teacher leaders, administrators, practicing teachers, and teacher/administrator preparation programs in higher education. The content from Within Reach can be used to build systems and practices to increase instructional effectiveness to address diverse students’ learning needs. 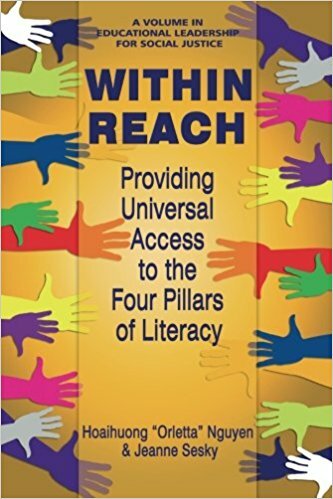 The text offers research based, effective, instructional practices and how they relate to diverse learners and Common Core, as well as to understand how to employ teacher leaders to network such practices.Within Reach is an excellent match for district and federal funding because it focuses on professional development to bridge the achievement gap, instructional accountability measures, and making connections to the Common Core. Districts can access funding through Title 1, Common Core funding initiatives, and federal grants. It can also be adopted in higher education teacher and administrator preparation programs. For example, in teacher preparation programs, Within Reach covers topics such as Teaching Multiculturalism Education, Teaching Students with Mild to Moderate Disabilities, Teaching English Language Learners, and Language Acquisition and Development Certification Courses, and Teacher Leadership. Abstract: Ariel Burger—devoted protégé, apprentice, and friend—takes us into the sacred space of Wiesel’s classroom. There, Wiesel challenged his students to explore moral complexity and to resist the dangerous lure of absolutes. 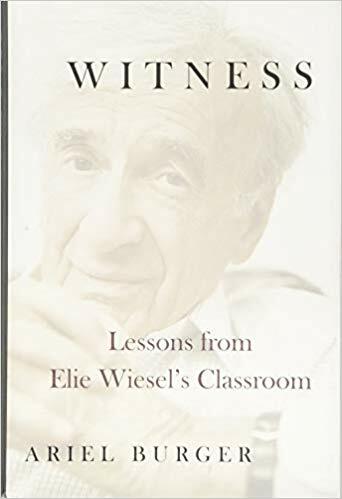 In bringing together never-before-recounted moments between Wiesel and his students, Witness serves as a moral education in and of itself—a primer on educating against indifference, on the urgency of memory and individual responsibility, and on the role of literature, music, and art in making the world a more compassionate place. Abstract: Partnerships among a variety of institutions - for profit, not-for-profit, and non-profit - are a relatively recent organizational development. Such partnerships link businesses, government, and social agencies. The primary reason for these relationships is to achieve goals sooner and more efficiently by building on the resources and expertise of each partner. In arts education, schools, arts organizations, cultural institutions, government agencies, and universities have engaged in joint ventures to improve the teaching and learning of the arts disciplines in their schools and in their communities. These partnerships have been particularly beneficial for teachers, many of whom have limited background in the arts but are expected to teach them in their classrooms. Arts partnerships initially focused on the goals of the participating organizations; that is, to develop artistic skills, to build future audiences, and/or to encourage young people to consider an artistic career. More recently, partnerships focus on educational goals rather than solely artistic ones. Despite the challenges and complexities of arts education partnerships, most partners believe that the benefits to students, teachers and the community outweigh the disadvantages and consequently, as the research in Working Together demonstrates, they are willing to justify the time, energy, and expense involved to improve the quality of arts education. 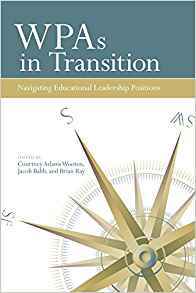 WPAs in Transition shares a wide variety of professional and personal perspectives about the costs, benefits, struggles, and triumphs experienced by writing program administrators making transitions into and out of leadership positions. During such transitions, WPAs and other leaders who function as both administrators and faculty face the professional and personal challenges of redefining who they are, the work they do, and with whom they collaborate. WPAs in Transition creates a grounded and nuanced experiential understanding of what it means to navigate changing roles, advancing the dialogue around WPAs’ and other administrators’ identities, career paths, work-life balance, and location, and is a meaningful addition to the broader literature on administration and leadership. 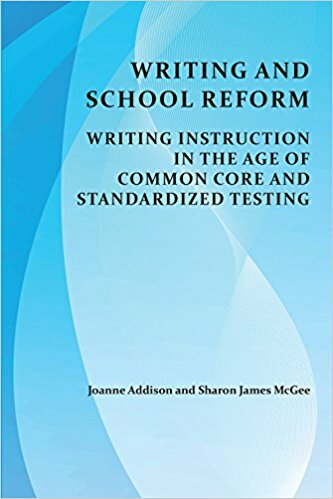 Abstract: In Writing and School Reform, Joanne Addison and Sharon James McGee respond to a testing and accountability movement that has imposed increasingly stronger measures of control over our classrooms, shifted teaching away from best practices, and eroded teacher and student agency. 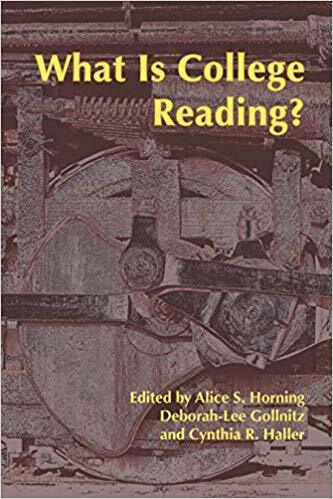 Drawing on historical and empirical research, Writing and School Reform details the origins of the accountability movement, explores its emerging effects on the teaching of writing, and charts a path forward that reasserts the agency of teachers and researchers in the field. Writing at the State U presents a comprehensive, empirical examination of writing programs at 106 universities. 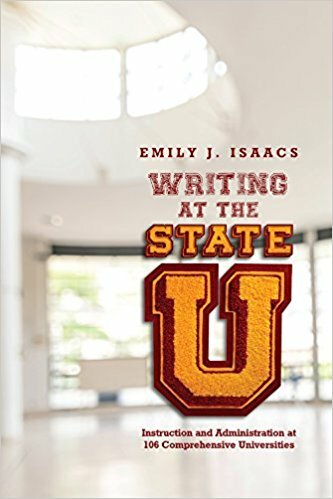 Rather than using open survey calls and self-reporting, Emily Isaacs uses statistical analysis to show the extent to which established principles of writing instruction and administration have been implemented at state comprehensive universities, the ways in which writing at those institutions has differed from writing at other institutions over time, and how state institutions have responded to major scholarly debates concerning first-year composition and writing program administration. Unique in its wide scope and methodology, Writing at the State U sheds much-needed light on the true state of the writing discipline at state universities and demonstrates the advantages of more frequent and rigorous quantitative studies of the field. Abstract: Teachers of first-year composition courses do essential work. Teaching argumentation and conventions of university-level writing; demystifying citation and punctuation; promoting reading comprehension and analysis. Yet such skills, as important as they are, do not reflect the full scope of our discipline. Some of the best learning in composition coursework relates to students' growth as successful individuals able to live and write in a complex world. Composition instructors demand civil discourse and respect for diversity. They coach students in time management and the creative process. They build up confidence, break down learning obstacles, and promote self-examination. The essays found in Writing Pathways for Student Success, written by and for instructors of college writing, examine life lessons that both students and instructors learn from first-year composition courses. Abstract: This accessible text provides a roadmap for producing a high-quality literature review--an integral part of a successful thesis, dissertation, term paper, or grant proposal. Each step of searching for, evaluating, analyzing, and synthesizing prior studies is clearly explained and accompanied by user-friendly suggestions, organizational tips, vignettes, and examples of student work. Also featured are excerpts from peer-reviewed quantitative, qualitative, and mixed methods articles. 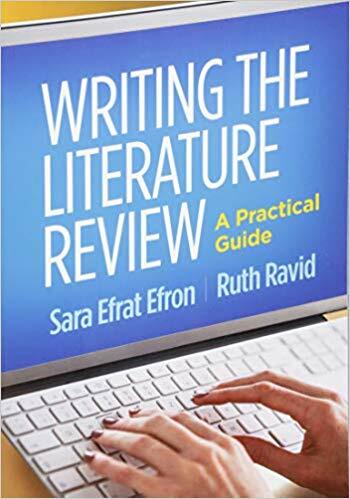 This is the first book to focus on crafting different types of reviews (systematic, traditional–narrative, or hermeneutic–phenomenological) that reflect the writer's research question, methodological choices, and approaches to knowledge. It describes what all reviews have in common and highlights distinct characteristics of each type. The book includes dos and don'ts for evaluating studies and constructing an argument, and software suggestions for locating, organizing, and arranging sources. 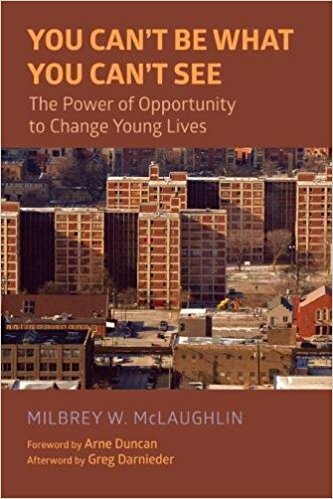 Abstract: You Can’t Be What You Can’t See presents a rare longitudinal account of the benefits of a high-quality, out-of-school program on the life trajectories of hundreds of poor, African American youth who grew up in Chicago’s notorious Cabrini-Green housing project in the 1980s and early ’90s.